International Broadcasting Corporation (OTCBB:IBCS) announced that it has signed a new sponsor—Bentley Commerce Corporation—for its radio show, Stock Talk LIVE. The interactive business talk show focuses exclusively on micro-cap stocks, and airs every stock market day from 9:30 a.m. to 4 p.m. EST. Interactivity, interesting guests, and significant short-term trading opportunities are featured in each edition of the show. Interviews, commercials, and news updates about Bentley Commerce Corporation (OTCBB:BLYC) will also air on the show. For more information on International Broadcasting Corporation go to www.ibcradio.com. Awareness Is Everything. . .
At the recent global conference in Davos Switzerland the prevailing belief among the world’s movers and shakers was that global awareness is needed before change can occur. In the barter industry two publicly-traded companies are doing their share to spread awareness. Although they’re spreading the word about their company’s services, readers of their press releases and listeners to their interviews learn about barter. The two companies I’m referring to are International Monetary Systems (OTCBB:INLM) and Bentley Commerce (OTCBB:BLYC). Don Mardak, CEO of IMS, was interviewed by two major business web sites, www.ceocast.com and www.smallcapvoice.com. Bruce Kamm, CEO of Bentley, was interviewed on www.ibcradio.com where he discussed his company’s services as well as solutions for the worldwide barter industry. To hear the interview, go to www.ibcradio.com/CMN.htm. Incidentally, last week we noted that Mardak’s IMS reported doing $37 million in trade volume for 2004. 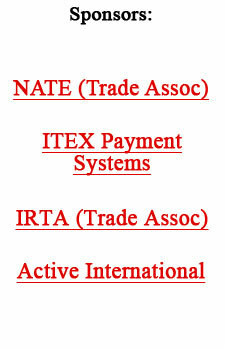 However, IMS only reports on one side of the trade transaction, not both sides like other large exchanges. Therefore when comparing IMS’s trade volume with, say, BarterCard or ITEX (which report both sides of the transaction) its 2004 figure would be $74 million. A look back...two exchanges show barter’s versatility. It’s hard to imagine today, but back in 1991 the S&L banks in the U.S. were in great trouble and had to be bailed out by Congress. Lewis Seidman, chairman of the Resolution Trust Corp. (RTC), was the man selected to solve the problem. It was his responsibility to dispose of the bad loans, flawed junk bonds, and the myriad real estate assets that made the S&L crisis the most expensive financial debacle in our nation’s history. In issue #24 we reported on how RTC used barter as the financing technique to entice the nation’s top eligible investors to get involved. It was done through cash-flow financing, which enabled the investors to trade on their expertise and credibility rather than upfront cash investments. Seidman moved 80% of the $100 billion hard-to-sell commercial real estate and loans by trading large portfolios of assets; in exchange accepting a share of the earnings (the cash-flow generated) from the office rents, hotel revenues, and loan collections. “It’s in effect a partnership...it puts us (the government) at risk for longer. We’d prefer to get cash and walk away from the properties,” Seidman explained, “but the market isn’t there to do that.” In short, he admitted that a barter-type arrangement was the strategy necessary to move the assets that the government had been unable to move (sell) in the conventional manner. Icon International, a New York barter finance company, is providing MovieAmerica Corp., an Atlanta-based film production firm, with credits to buy advertising for use in promoting its movies. The initial trade credits were purchased with shares in MovieAmerica. Buffett invested $600 million in convertible preferred Gillette shares, or what would have been about 10% of the company then. That stake now is valued at more than $5.1 billion. The proposed merger has undoubedly pleased others as well. Although Gillette spent approximately $480 million on ads in the U.S. last year, P&G’s massive world-wide advertising expenditures surpassed $4 billion! A significant shift in how advertising dollars will be spread among the ad industry behemoths is likely to take place. Reality TV czar Mark Burnett is busy on another reality show with Martha Stewart. The prolific producer pursued Stewart last fall and structured a lucrative trade enabling him to gain a stake in long-term revenue streams. Burnett secured the right to buy 2.5 million Martha Stewart Living shares at $12.59 each. On February 2, the stock was $32.93...having nearly tripled on speculation that the company would rebound once Stewart put her legal woes behind her. Google’s incredible jump in earnings (4th quarter profits improved 700%!) took the analysts by surprise...and the company isn’t resting on its laurels. Google is embracing barter as a tool to reward top workers by distributing big baskets of restricted stock to employees who develop promising technology. Google recently awarded a total of $12 million in stock to two different development teams. Before most of his friends were out of college, he had earned his first $1 million as a trader. At 25 he launched Island ECN, an electronic trading system for brokers, that later sold for $500 million. By his 27th birthday, he’d turned his fledgling online stock brokerage, Datek, into the nation’s fourth-largest. Ameritrade snapped it up in 2003 for $1.3 billion. Two real estate developers in Toronto are racing to bring high-rise opulence to Canada’s largest city. Harry Stinson, a prominent condo developer in Toronto, is building the 81-story Sapphire Tower that will be down the street from the 70-story Trump International Hotel & Tower. Donald Trump has teamed up with Talon International Development, a Canadian investment company, which holds a controlling interest in the $402 million Trump project. It’s believed that Trump bartered the use of his name for a minority stake in the project, as he has done several times in the past. Marketing with a flair... Procter & Gamble’s idea of putting trivia questions on Pringle’s potato chips contributed to a 14% jump in market share! The United Nations World Tourism Organization has organized a conference that will focus on how to lure travelers back to southern Asia’s tsunami-ravaged coasts. Corporate sponsors and governments at the meeting have agreed to provide assistance. Millionaires ages 54 and under will use real estate, in addition to other means, to fund their retirement...more than double the number of retirees who are currently relying upon this asset.